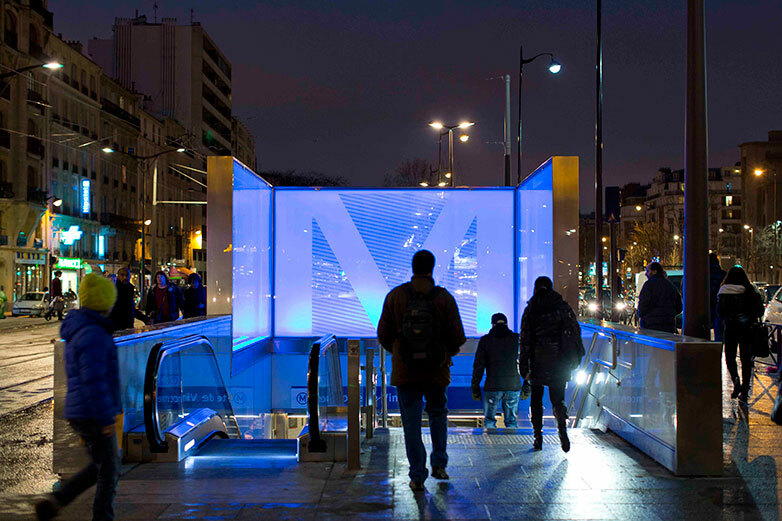 Paris Metro / T3 Tramway Interchange, Porte de Vincennes, Paris. 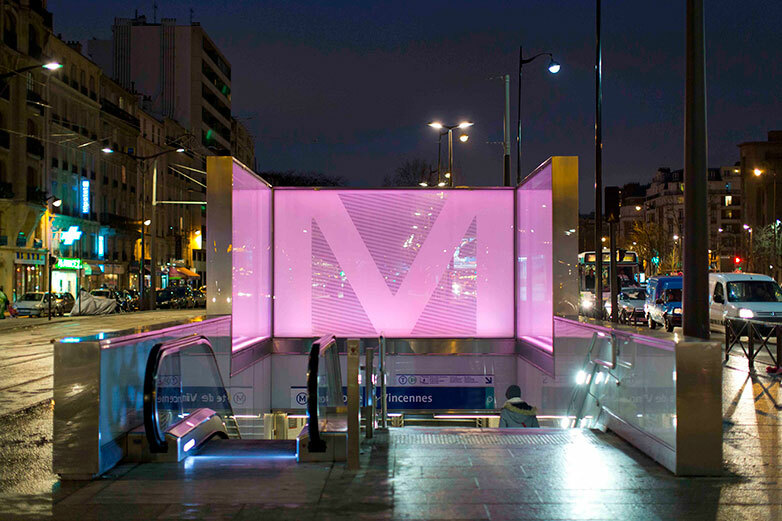 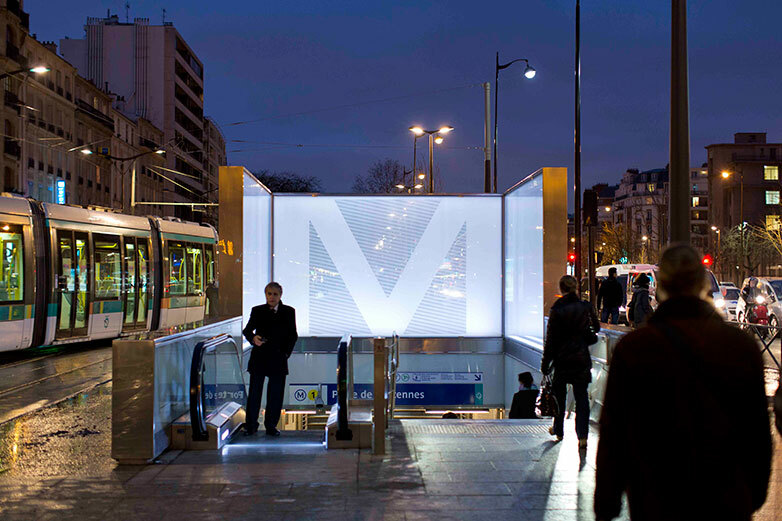 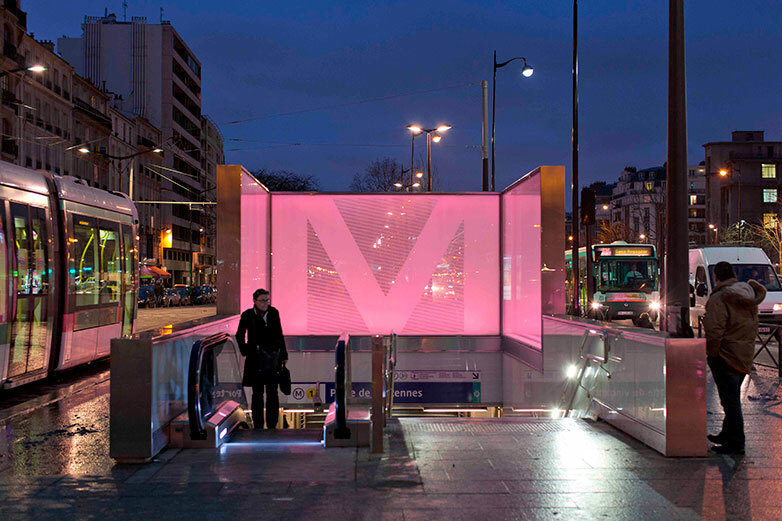 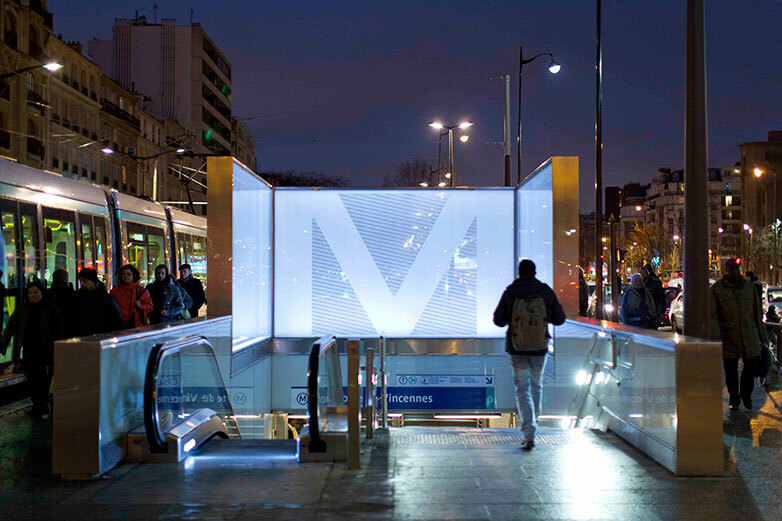 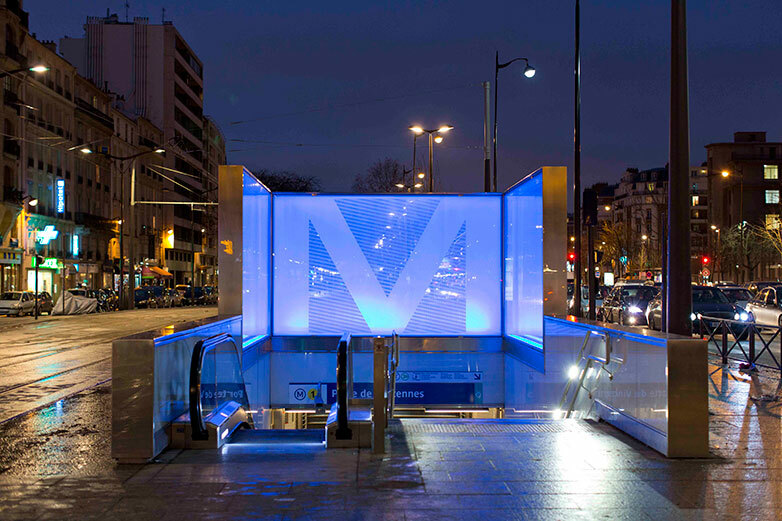 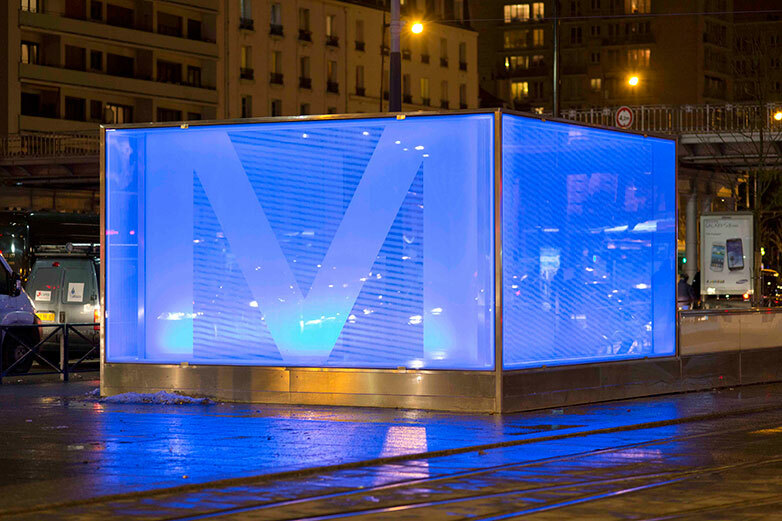 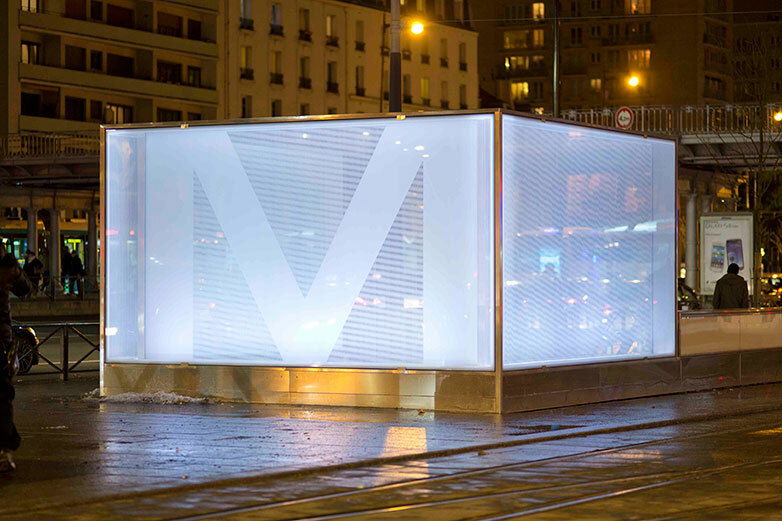 Two glass “cubes” forming the entrances to the Metro, together with the glass canopies of the T3 tram platforms are interactive, phased to change colour through blue, white and pink, with the arrival and departure of the trams. 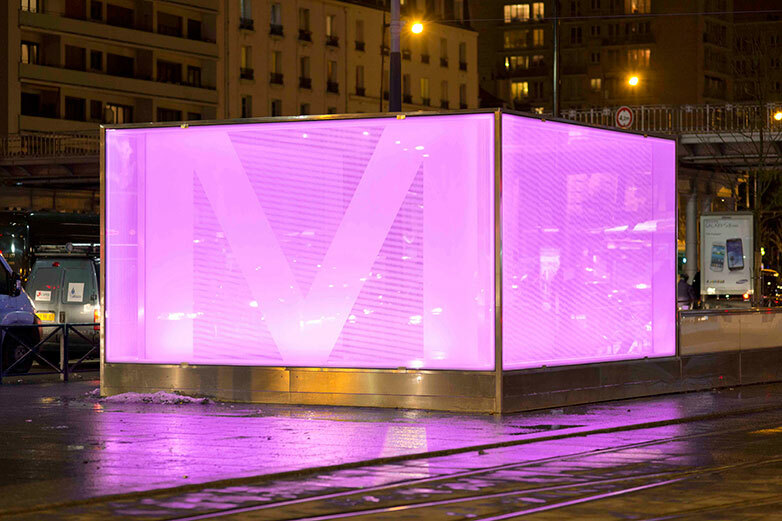 During bright daylight the twin wall construction of fritted glass creates a shimmering moiré effect.